Here, one highlight is quickly followed by another - first, you enjoy the fantastic views on the Gorner Glacier, then admire the reflection of the Matterhorn in the Riffelsee. 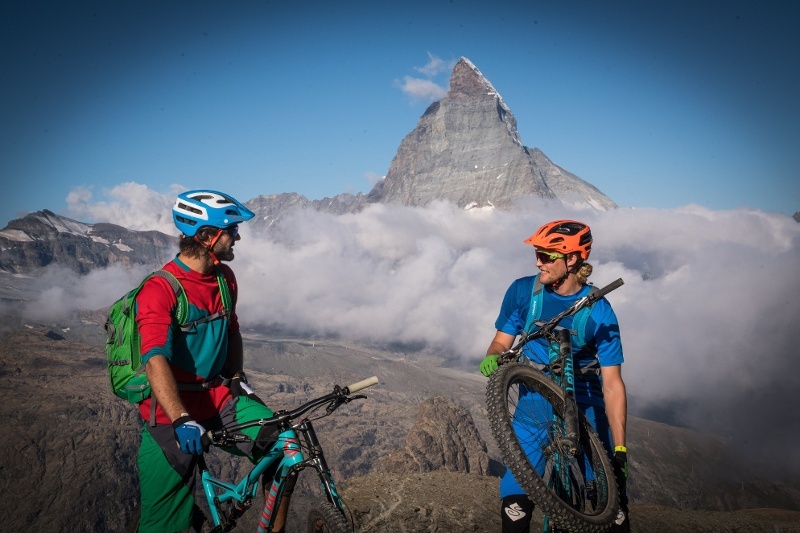 You pass these natural wonders on flowy and technical trails – guaranteed fun and an unforgettable adventure. 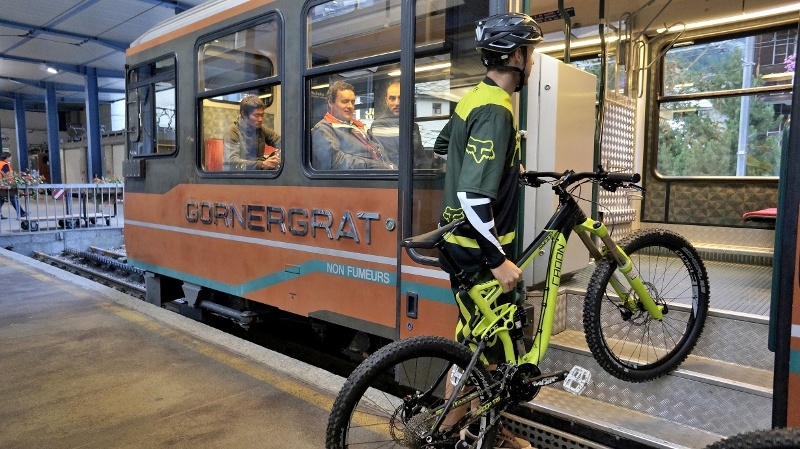 Take the Gornergrat Bahn up to the Gornergrat. 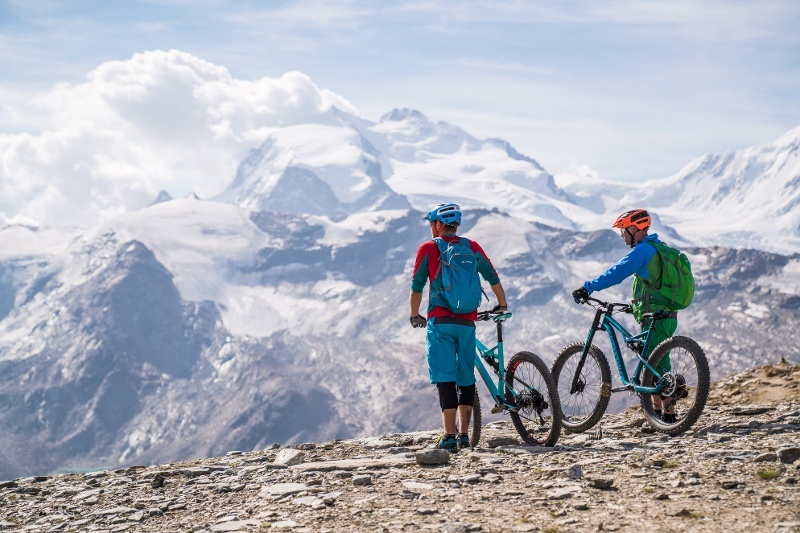 Before heading off on the bike trail, take in the breathtaking views of the Gorner Glacier, the Matterhorn and the Alpine panorama. From Gornergrat to Rotenboden, the trail is very technical and rocky. Experienced riders will love it. 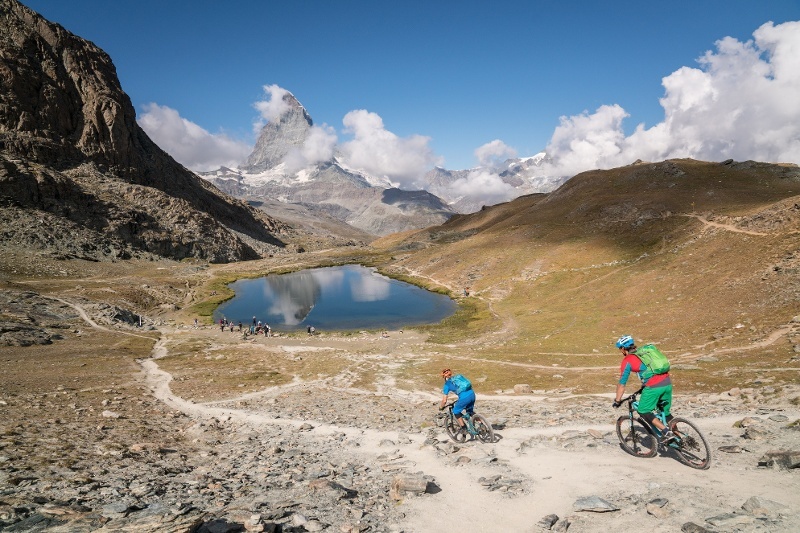 The trail then becomes a bit easier and more flowy until you get to the Riffelsee. In the famous Riffelsee, you can see the reflection of the Matterhorn. It’s a shame not to stop at this point. Once you’ve taken some photos of the Riffelsee, the bike trail continues back to Riffelberg. This section is fairly straightforward. From Riffelberg, there is a fairly technical single trail back down to the Riffelalp. It has two or three challenging, quite exposed points which are only for experienced bikers. Otherwise, we recommend that you push your bike for a bit. The flow returns after the Riffelalp. The Chämihitta Trail is a jewel among flow trails and leads back down to Furi. If you don't get to the end with a grin on your face, you've not done it right! From Furi, the Moos Trail takes you back to the village. In high season, we recommend doing the route in the early morning or early evening. At these times, there are fewer hikers on the trails. The best time to do this route is on a beautiful summer’s evening. When the sun starts to dip behind the mountains, you have the trails practically to yourself.